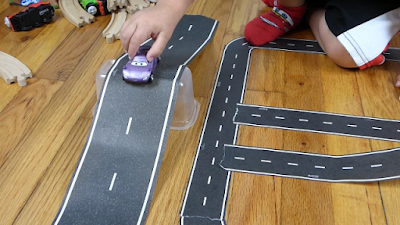 Growing Little Ones : Making Custom Roads with PlayTape! It's the Fun that Sticks! Making Custom Roads with PlayTape! It's the Fun that Sticks! My four year old toddler and I made a whole town and used Thomas the Train, Percy, Disney Cars, Lightning Mcqueen, Finn Mcmissile, Holly Shiftwell, Yo Gabba Gabba Cars and more on this fun road! The possibilities only end where your imagination ends! 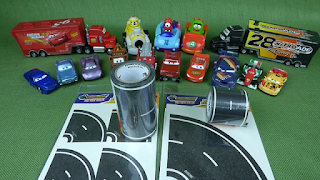 "Printed to look like a road, PlayTape Classic Road Series is a roll of removable tape that’s perfect for playing with die-cast toy and model cars like HotWheels® and Matchbox®. 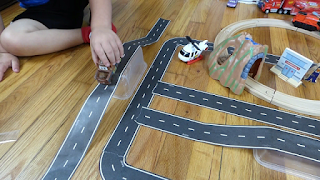 PlayTape is the fastest way to create roads for imaginative play, display, or decoration. Make instant roads, anytime, anywhere! PlayTape has been specifically designed to bring hours of imaginative entertainment at minimal cost and maximal convenience. 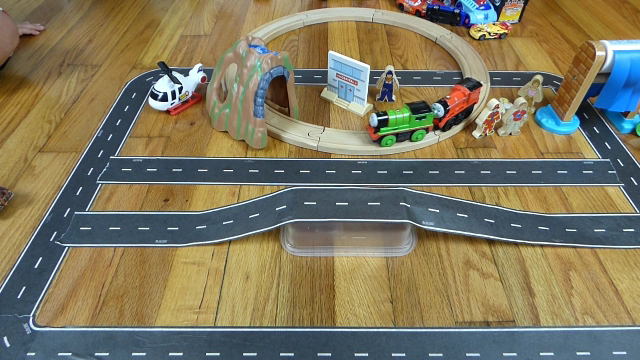 With a single roll of PlayTape Classic Road Series, you can create a road or a whole city. 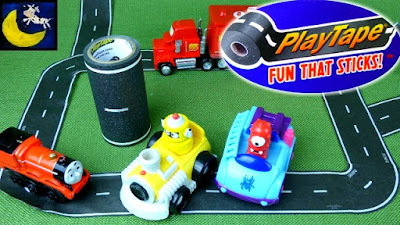 Use the toy cars you already have to drive on PlayTape. 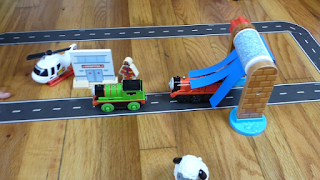 Use the blocks and toy buildings you already have to build a town through which PlayTape traffic flows. 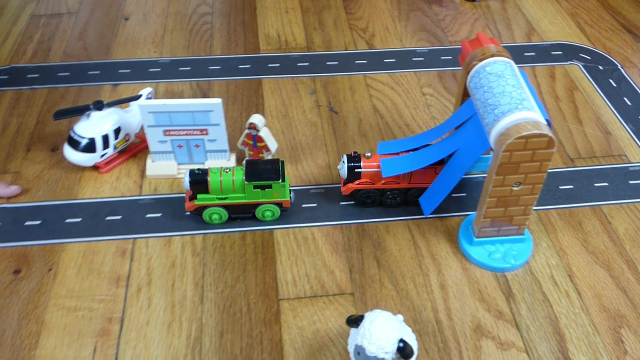 Create places real or imaginary. 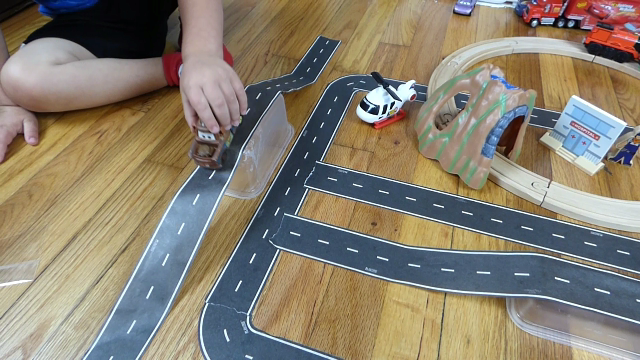 The possibilities are as endless as a desert highway."